The 2019 Honda Civic LX is the base trim, and comes equipped with an impressive 2.0-liter DOHC i-VTEC® 4-cylinder engine and perks like LED Daytime Running Lights. The Civic LX also offers a standard Multi-View Rearview Camera with Guidelines that helps you navigate busy parking lots and streets. Plus, with a 5-inch color LCD screen and Bluetooth® HandsFreeLink® and Streaming Audio, you'll have all the entertainment and convenience you need! Choose the new 2019 Honda Civic EX and you'll benefit from upgrades in technology, style and convenience. For starters, you'll get advanced features like a 7-inch Display Audio touchscreen, HD Radio™, Apply CarPlay™ and Android Auto™. This trim also offers Smart Entry and Push Button Start so you can get right in and go without any added hassle. And with a one-touch power moonroof, you can enjoy a better view and more sunshine. Select the new Honda Civic Sport and you'll earn a powerful new engine for your adventures. Take control of the CVT transmission's shift points with dual-mode paddle shifters. Downshift for some extra passing power or shift up on the open highway, all without taking your hands off the wheel. The Civic Sport comes standard with fog lights, heated front seats and a dual-zone automatic climate control system, too, ensuring that you ride in luxury through every turn. Upgrade to the 2019 Civic EX-L and you'll gain first-class features that enhance your time behind the wheel. With amenities like leather-trimmed seats and a leather-wrapped steering wheel and shift knob, you get the classy interior you've always wanted. The Civic EX-L even comes with an 8-way power adjustable driver's seat and an automatic-dimming rearview mirror to give you complete control of your experience! Take home a 2019 Honda Civic Touring and you'll gain a new appreciation for driving. The Civic Touring model comes standard with the Honda Sensing™ suite of safety technologies, giving you peace of mind on every excursion. This also means you get LED headlights and rain-sensing windshield wipers so you always have a clear view of the road ahead. Plus, a 450-watt Premium Audio System with 10 speakers lets you enjoy your favorite music, podcasts, audiobooks and more. 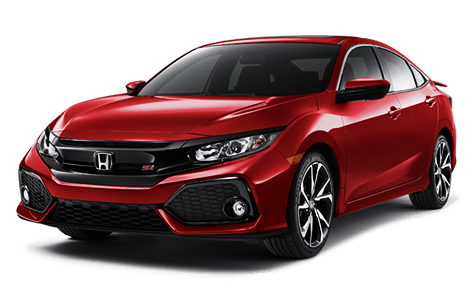 Buy or lease the new 2019 Honda Civic Touring today! Car enthusiasts can also choose the new Civic Si model for a unique experience on the road. This trim comes with a 1.5-liter Turbocharged and Intercooled DOHC 4-cylinder engine with direct injection that outputs 205 horsepower to fuel every ride you take around Ohio. You'll also get 18-inch alloy wheels, Si-exclusive sport front seats and a Si-exclusive rear wing spoiler to help you truly stand out on every road. Check out this new Honda Civic model now! 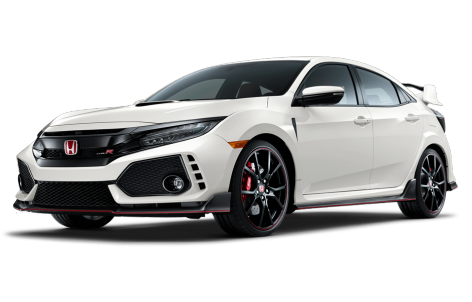 If you want a new Honda Civic that's driven by performance, look no further than the all-new Honda Civic Type R. This Civic model features racing-inspired design and engineering that will provide an exhilarating experience behind the wheel. Under the hood you'll find an exceptional 2.0-liter i-VTEC® Turbocharged engine that produces 306 horsepower and impressive efficiency. The new Civic Type R also boasts a 3-Mode Drive System, a 6-speed manual transmission with Rev-Match Control and many other high-performance features. Plus, with exclusive Type R interior and exterior badges and design elements, your Civic will stand out from the crowd. Come test-drive the new Civic Type R at Jay Honda.